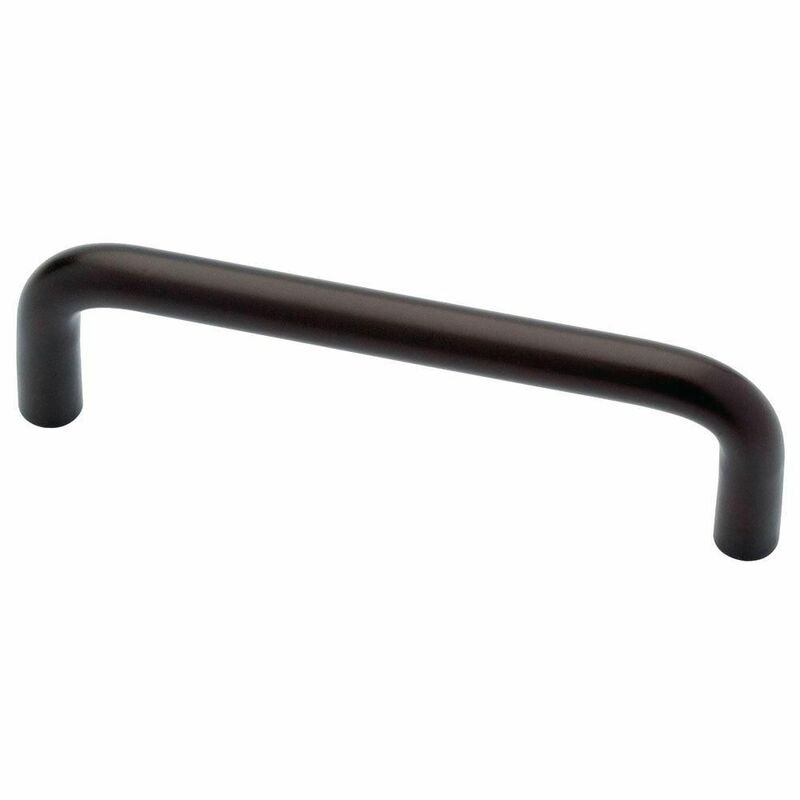 Amerock Davenport 3-3/4-inch (96 mm) CTC Pull is finished in Oil-Rubbed Bronze. Simple lines and curves paired with strong, subtle finishes give the Davenport collection a distinct appeal. Installed horizontally or vertically, the balanced lines of these cast metal knobs and pulls add refined geometry to any space. The Oil-Rubbed Bronze finish is a rich, dark brown old world finish with striking light and dark accents. Amerock markets decorative hardware solutions that inspire, coordinate and help express personal style. For the kitchen, bathroom and the rest of the home, with a variety of finishes and designs for all decorating tastes, Amerock is the ultimate, time-tested source for hardware needs. Amerock markets products in four categories: decorative hardware, decorative hooks, bath accessories and functional hardware. 3-1/2 Wire Pull, 1 per package The Liberty 3-1/2 in. Dark Oil-Rubbed Bronze Wire Pull is constructed of durable metal material to help provide long-lasting use. Update your hardware to give the room a new look and feel. Includes a polybag with an 8-32 in. x 1 in. machine screw for easy installation. 3-1/2 Wire Pull, 1 per package is rated 4.6 out of 5 by 54. Rated 5 out of 5 by Rene from The hardware was perfect. Thank you. ... The hardware was perfect. Thank you.